No Express shipping on this item. riental Blossom & Birds. 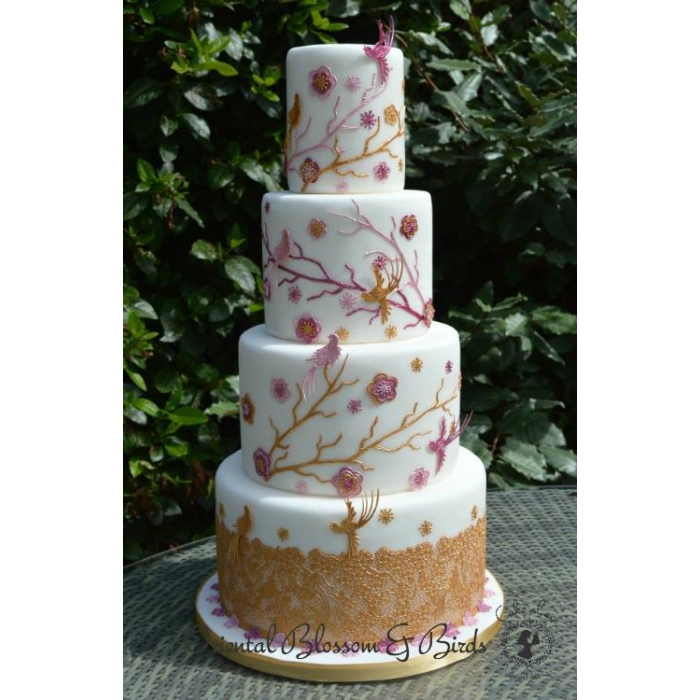 This beautiful and intricate design is a real stunner and another winning design from Cake Lace. Use the new two or three colour process in the mats to make this gorgeous effect. We have limited supply of the new mat = so be quick! 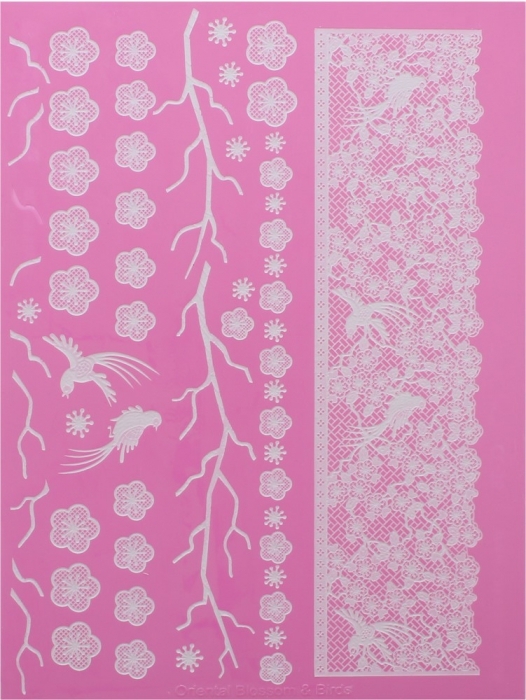 Cake Lace mats, as standard, have a unique '3D' effect with different levels of detail. Use this with Cake Lace, to apply beautiful edible lace to wedding cakes, celebration cakes, or anything else! 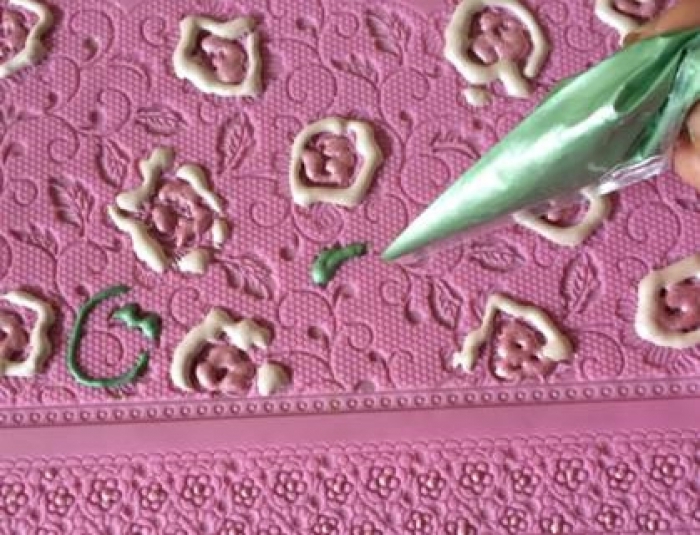 You can attach Cake Lace by brushing a tiny amount of water onto your sugarpaste, and gently press your Cake Lace onto this. Sizes: measures approx. width 11" (26cm) x length 15" (38cm). Check out the video below as Claire Bowman demonstrates how to use these mats.